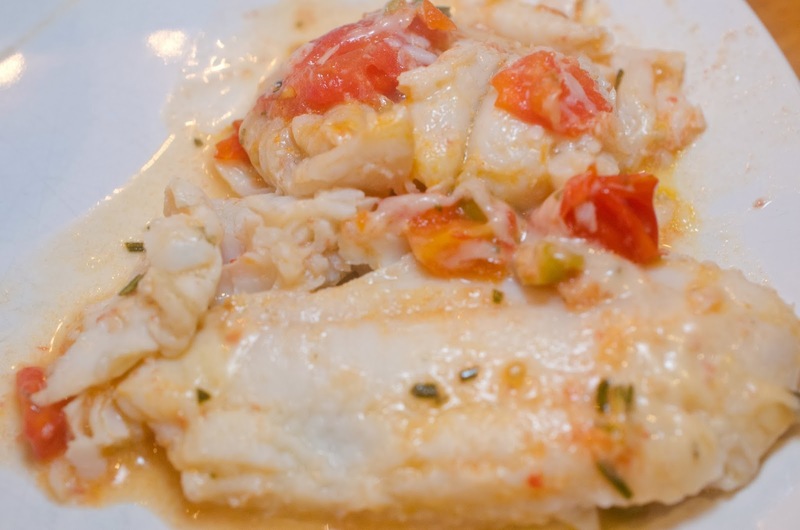 I have been cooking fish once each week and trying to find a different fish to prepare so as to not get bored. I get bored sometimes preparing the same food, and sometimes my children lead me in that direction with asking me to make the same food over and over again. Right now I'm trying new foods and letting them figure out if they want to try what I'm making. While at Costco trying to find a fish I hadn't eaten before, I found Flounder and decided to go with that. 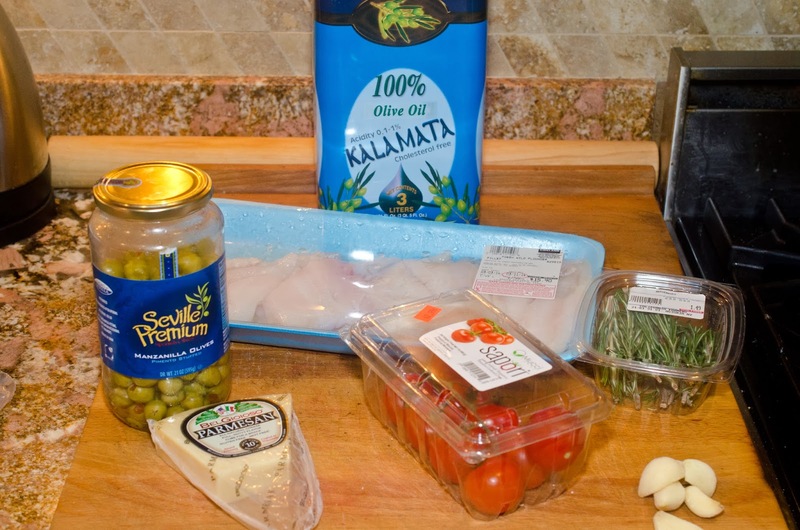 My Flounder recipe is Italian inspired in that it uses traditional Italian ingredients and is in part based on an Italian recipe I found. This was so good tasting. 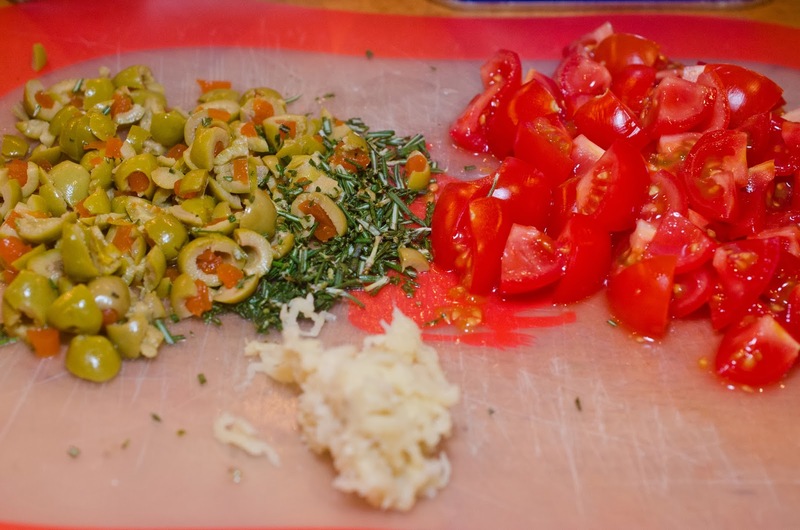 Chop olives, tomatoes, and rosemary. Press garlic through garlic press. Preheat 12 inch sauté pan with olive oil over medium flame. 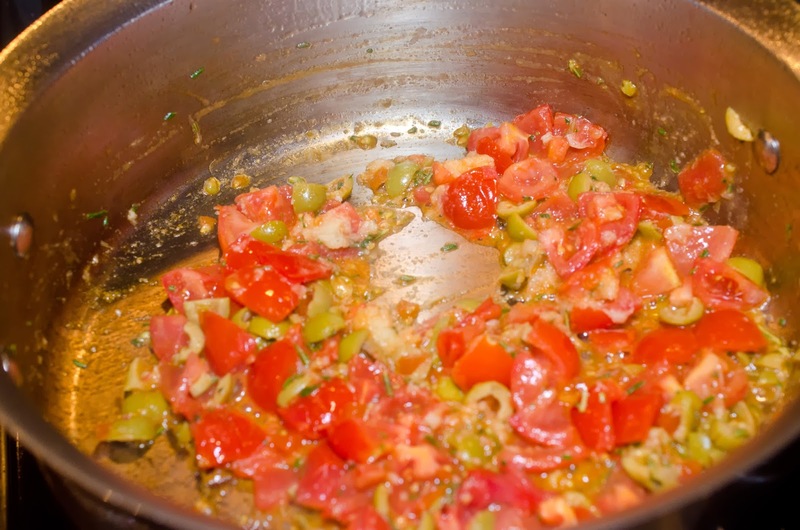 Place olives, tomatoes, garlic, and rosemary in pan and saute a couple of minutes. 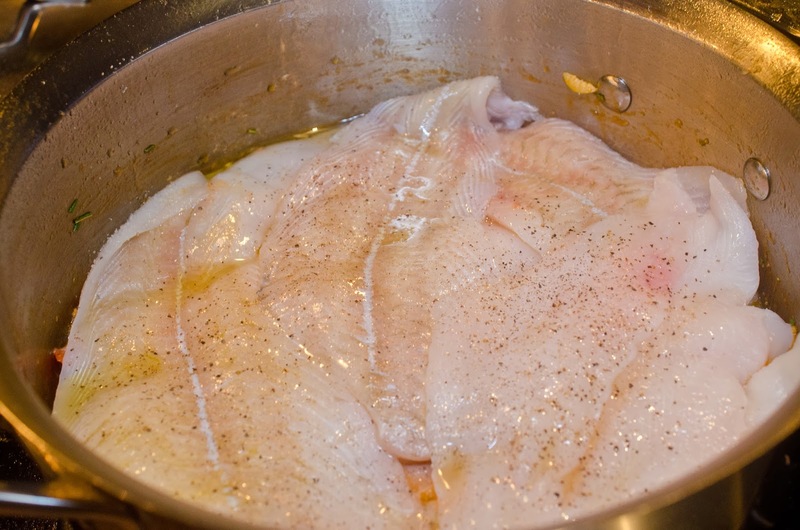 Place flounder over sauce, sprinkle salt and grind black pepper onto fish. gently and cover with lid for another minute or two. Serve with a side of risotto (recipe found here) as my family did or maybe a piece of crusty bread. Preheat 12 inch saute pan with olive oil over medium flame. 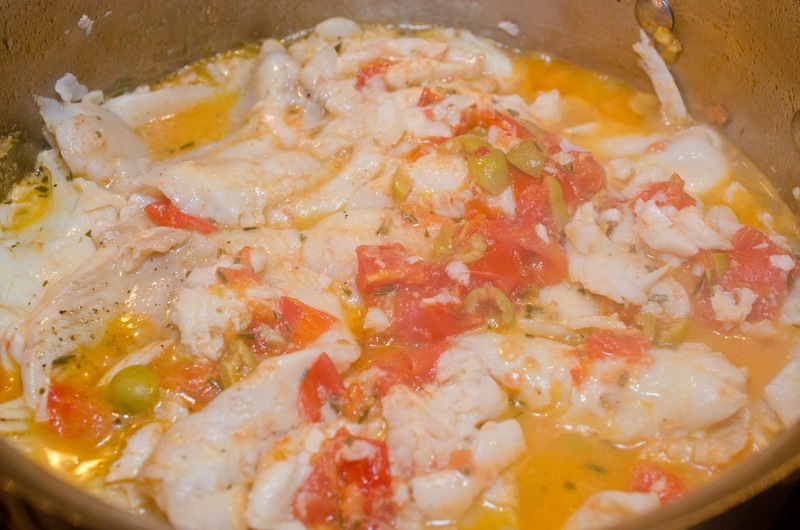 Cover pan with lid and cook for five minutes, remove lid, check if fish is opaque, if not stir gently and cover with lid for another minute or two.